Why Vietnam? #Friday Fictioneers Veteran’s Day Edition – What's for dinner, Doc? In observance of Veteran’s Day, I dedicate this post with gratitude to The United States Army Nurses who served in Vietnam. Their sacrifices may have gone unnoticed by many but they earned a special place in every wounded soldier’s heart. The Vietnam war brought about an evolution in battlefield trauma and critical combat medicine which set new standards for military nursing care. A low mortality rate in field hospitals was attributed in part to the superior nursing care brought about by the ingenuity of young, often times inexperienced nurses, who did everything in their power to provide “state side” nursing care with limited resources. They learned to improvise with the equipment at hand and found ingenious ways to procure supplies that were in critical demand. In Vietnam there were no front lines or safe areas so every nurse faced the threat of attack during her twelve month tour of duty. The nurses were commended for their consistent courage, ingenuity and dedication. Five thousand nurses served in Vietnam and nine paid the ultimate price for their dedicated service. This post is dedicated to First Lieutenant Sharon Ann Lane, the only American servicewoman to be killed in Vietnam as a direct result of enemy fire. She died June 8, 1969 at the 312th Evacuation Hospital in Chu Lai, Vietnam. 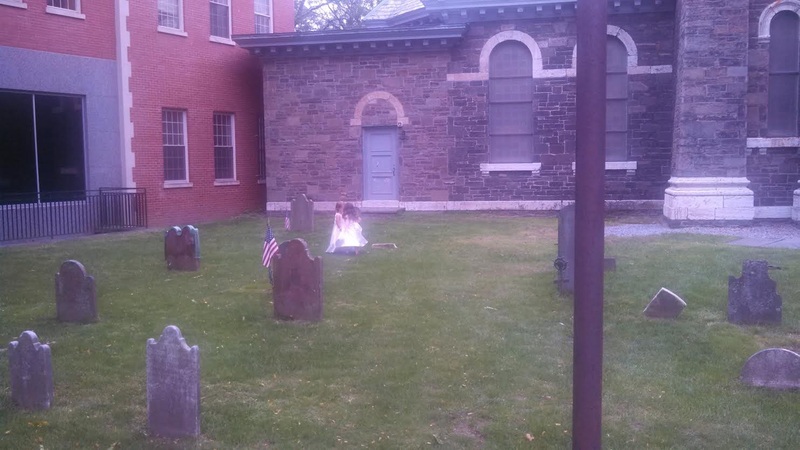 Now for the photo prompt and my Friday Fictioneers contribution, a 100 word story of sacrifice. Steam rose from the tarmac, the false wind from the chopper blades, a welcome relief. She inhaled the sodden, fuel laced air of Chu Lai and took in the beehive of the 312th. Distant thunder pierced the cloudless crystal blue sky. “Why Vietnam?” her friends had asked as they said their farewells. “Because this is where my patients are,” she whispered to herself, conjuring a courage that was just out of reach today. The soldier’s fleeting fear was not misplaced, for First Lieutenant Lane would be returning home in six short weeks, her remains decorated by the Gallantry Cross and a Bronze Star from a grateful nation. For more Friday Fictioneers go here. Many thanks to Rochelle Wisoff-Fields who makes Friday Fictioneers possible. Someone’s bound to ask and it might as well be me…was she related to you? At any rate, I appreciated the intro, the link and the story. All beautifully written. Lovely tribute and a piece of history I didn’t know. Thank you. I do come from a very long line of nurses on both sides of my family but I have no evidence to support any relationship with Sharon Lane. Thank you for the compliment. Beautifully written. Wonderful tribute to a very brave lady. Thank you. 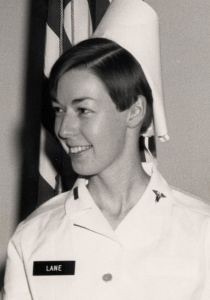 Nurses had to volunteer to serve in Vietnam which makes her story so much more heroic. Vietnam scared the SH_T out of me. I can’t imagine being that brave. We owe our veterans so much. I remember the body counts on the nightly news as a child. Very scary. Courage does not come without a healthy dose of fear. Me too Tracey. They would read names after names. Horrible. This story feels like a heartfelt tribute to all unsung heroines like Lane. Is your middle name of “Lane” a coincidence? Coincidence. I was researching Army Nurses when I happened upon her story. Thank you for reading and commenting. A wonderful tribute and a complete learning experience for me. Thank you, Tracey. Thanks Perry. I’m so glad that you stopped by. Tracey a great tribute to all those nurses and such a sad outcome for Sharon Lane. Steam rose from the tarmac. The false wind from the chopper blades, brought welcome relief. I see what you mean Irene. I was trying to capture the rushed moment when she stepped off the helicopter in Vietnam but I can also see that separating the sentence might improve the flow. On the other hand the relief from the heat (steaming tarmac) is a direct result of the chopper blades. Thank you for taking the time to comment. I really like to hear how others read my work. In your suggestion you wouldn’t need that comma between blades and brought. Yes you are quite right Paul. I should have taken the comma out. ‘conjuring a courage that was just out of reach today’ sums up the emotions of this piece. It reminds me of Twain’s “courage is the mastery of fear, not the absence of it”. Lovely, fitting piece Tracey. I wasn’t aware that Twain had said that. It is certainly true. I doubt there has ever been a soldier who wasn’t afraid at some point. Lovely, moving story, and thanks for the history behind it. What a moving tribute. Beautifully written. Lovely tribute. One of many brave nurses backing up the troops. Yes they are so critical. Entertaining and educational, I love this kind of story. A great tribute to a brave woman, and all the other helpers. C– I found the writing crisp and beautiful. The only thing that caught my eye was the ‘crystal blue’. I think these two words aren’t necessary. Crystal blue sky sounds a bit cliched. I agree with gahlearner, just “cloudless sky” would work. Definitely could be left out but is “crystal blue” a cliche? It evokes a happy sky to me. It’s funny how perception is so critical in writing. Thank you so much for reading and commenting Paul. Darn it! I feel so …. dirty. Ha ha I’ll have to be more careful. How about if I substitute “a carefree sky”? Which is what I meant. Great post for Veteran’s Day! It always bothered me that the women, usually Nurses, who served in all the wars were never given recognition. And then finally there is the monument in Washington, D.C. They are true heroes. So sad that Sharon Lane died over there. I am happy to read that she was decorated. It is a lovely memorial Deborah and long overdue. the false wind from the chopper blades – stunning line! I enjoyed the history in this piece. My boyfriend (him 19 ~ me 16) went to Vietnam in 1971. Sad times – he was so young. So many were so young. Thank goodness he made it back. My now husband was a Marine in Vietnam. Thank you for reading and commenting. Happy Friday. Happy Friday to you, too. Lovely tribute to some of our bravest warriors. C. I would delete the word crystal in the first paragraph, and the word today in the second paragraph. Minor really, because it’s a beautiful piece. My crystal already took a beating, sigh but I’m holding firm to today because this nurse wasn’t afraid to volunteer for Nam and I bet she wasn’t afraid the day she came to work before a rocket killed her. I allowed her 1 day, the day she arrived in Nam to be afraid. That’s my thinking and I’m sticking to it. I really appreciate the critique. It makes me see my work through new eyes and that’s awesome. Thanks Yolanda. Beautiful tribute for a woman deserving our attention, Tracey. Nicely written. Thanks for this story as I wasn’t aware of her. This took my breath away, Tracey. You’ve told her story so well – powerful images. Also, the little bit of dialogue and her unspoken thoughts took me right into the scene with her. Thank you Margaret, I think the dialog was the most important element. Her dedication didn’t waiver despite her fear. Thanks Patricia. My husband was in Vietnam as we withdrew troops. Vietnam colored most of my grade school to high school years.